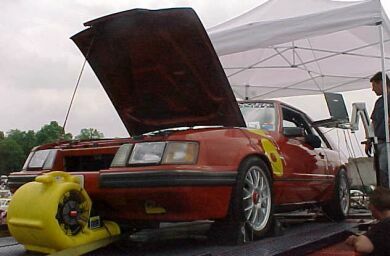 The SVOCA Reunion June 1 - 3, 2001, at the All Ford Nationals in Carlisle Pa was a even bigger success than last year. SVOs were in attendance. 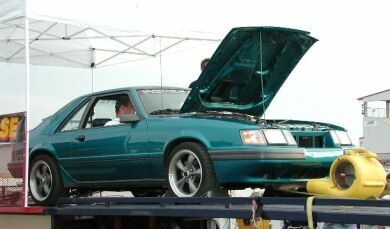 Thanks go out to Gator for making arrangements for Dyno. Lee Clary's Evolution at the SVOCA tent. 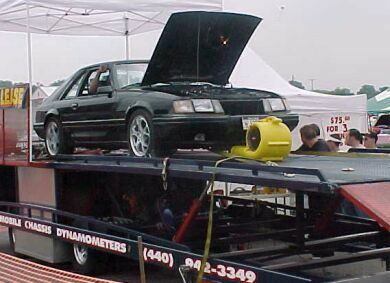 Paul Becker on the DYNO made 205 RWHP and 247 foot pounds of torque with only 15 psi of boost. 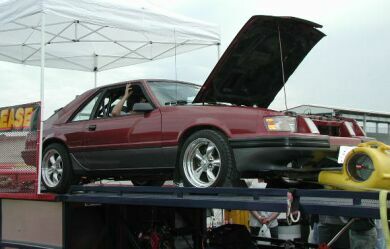 Wes Came in from NY for a DYNO run. 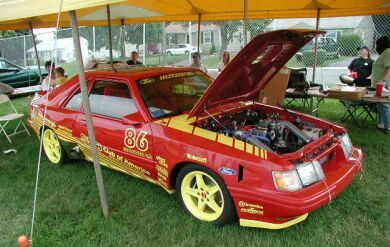 There were a couple of Australian Ford Falcons that got a lot of attention at the show. Many people had never seen one. You can see the Mad Max replica in the back. The SVOCA tent was in a great location, with lots of traffic, as you can see from the picture.